This is a letter from Mrs. Cooper's secretary to Miss Berry saying that Mrs. Cooper has sent 50 dollars to show her interest in The Berry Schools, but she is unable to send more money at this time. 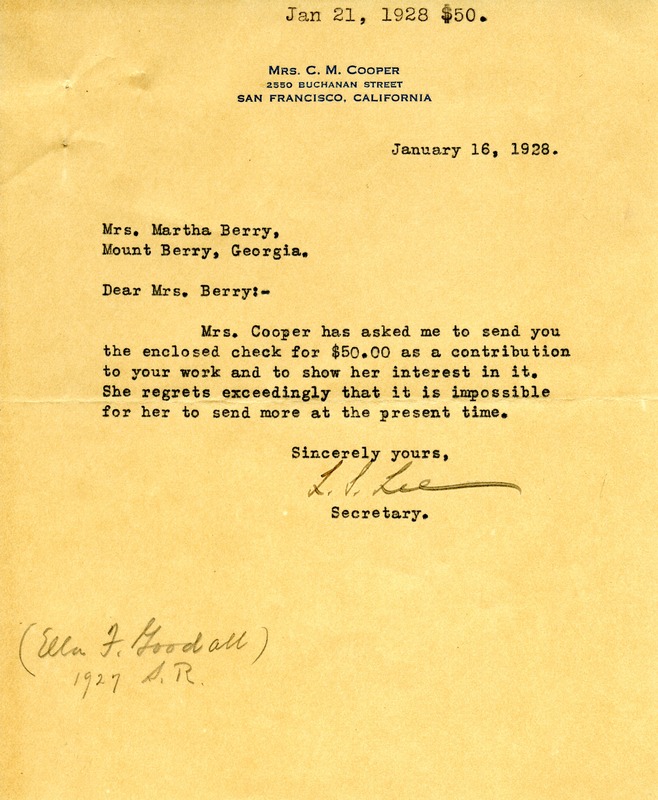 L. S. Lee, “Letter to Miss Berry from Mrs. C. M. Cooper's Secretary.” Martha Berry Digital Archive. Eds. Schlitz, Stephanie A., Kelsey Wetherhold, et al. Mount Berry: Berry College, 2012. accessed April 24, 2019, https://mbda.berry.edu/items/show/7054.